The epistles to the Colossians and to Philemon were written by Paul during the early part of his Roman imprisonment. Paul apparently wrote to the Colossian church because he had heard that false teachers had come to the city and were spreading erroneous doctrine in the young church. He writes to them in order to refute these errors and to encourage them to stand fast in the truth. The nature of the false doctrine is a matter of some controversy, but it seems most likely to have been a syncretistic blend of certain Jewish and Hellenistic beliefs. The epistle to Philemon is the shortest and most personal of Paul’s epistles. It contains a plea on behalf of the slave Onesimus. Commentators discuss the letters together because they were almost certainly sent at the same time by the same courier (ca. A.D. 60-61). There are a number of helpful commentaries on Colossians and Philemon, and the following are five of the best. 1. 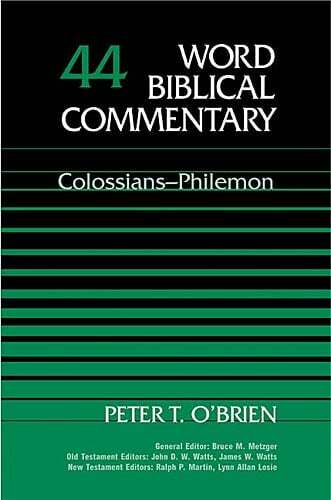 Peter T. O’Brien — Colossians-Philemon (Word Biblical Commentary, 1987). O’Brien has written the best all around commentaries on all of Paul’s prison epistles. He is able to explain well both the details of the text as well as the big theological picture. He doesn’t lose the forest for the trees. His commentary on Colossians and Philemon in the WBC series is less technical than his commentary on Philippians in the NIGTC series, but it is made unnecessarily difficult by the WBC format. In spite of the cumbersome format, all students of Colossians and Philemon should consult O’Brien on these two epistles. 2. Douglas J. Moo — The Letters to the Colossians and to Philemon (Pillar New Testament Commentary, 2008). The publication of any new commentary by Douglas Moo is an event. His commentary on Romans is a classic. His commentaries on other books are all outstanding. I was very excited, therefore, to see this new commentary on Colossians and Philemon. What I have read so far has been excellent. If anyone is going to give O’Brien a run for his money, it is Moo. Moo has the advantage of having written in the Pillar series — a much more reader-friendly series than the WBC. His commentary is also able to take into consideration studies published since 1987. I am placing it in a close second place to O’Brien at this point merely because I have not finished it yet. 3. F.F. Bruce — The Epistles to the Colossians, to Philemon, and to the Ephesians (New International Commentary on the New Testament, 1984). There are certain authors whose work serious students of Scripture should go out of their way to read. F.F. Bruce is one of those authors. Before his death, he wrote on as astounding variety of subjects, covering all aspects of biblical studies. Among these works were a number of commentaries on various books of the Bible. 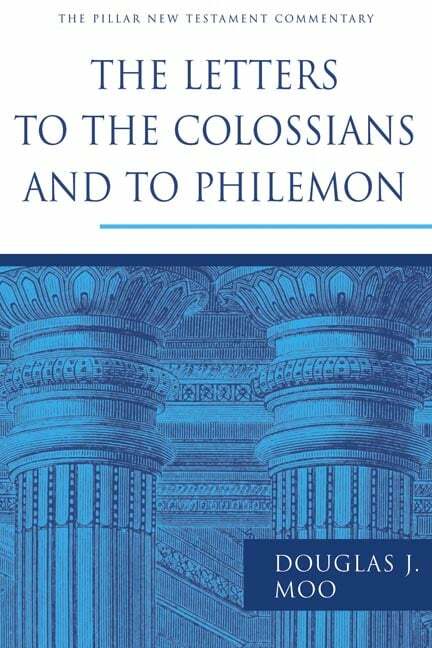 His commentary on Colossians and Philemon is a perfect example of his unique combination of scholarship and readability. 4. David E. Garland — Colossians/Philemon (NIV Application Commentary, 1998). 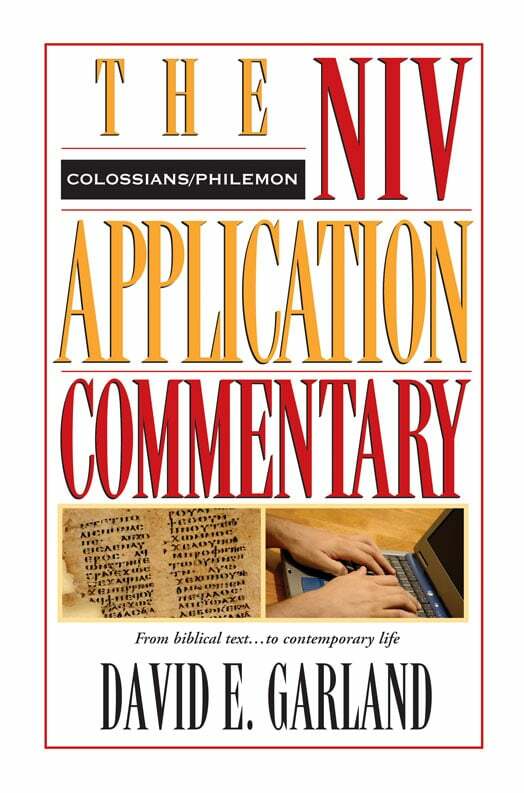 The NIV Application Commentary series is a mixed bag. Some are better than others. David Garland’s commentary on Colossians and Philemon is one of the commentaries in this series that should not be passed by. Garland offers great insight into the text and its contemporary application. It should be of great help to busy pastors. 5. R.C. Lucas — The Message of Colossians and Philemon (The Bible Speaks Today, 1984). 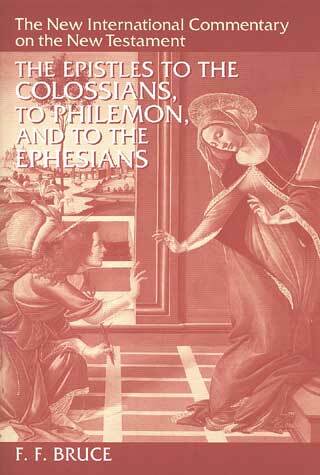 Lucas’s commentary on Colossians and Philemon is probably the best introductory level commentary on these two books. Like all of the commentaries in this series, it emphasizes the big picture and the overall flow of the text. There are a number of other notable commentaries on the books of Colossians and Philemon. Ben Witherington comments on the books in his socio-rhetorical series. The “commentary” by Murray Harris is for those who want to dive deeper into the Greek text.